Honoré Daumier (1808-1879) was a French satirical caricaturist and painter, who harbored a confusing yet fascinating history. His godfather was a painter, who most likely persuaded Daumier to pursue the trade of arts. However, his mothers family hailed from an extremely primitive village and his father spent all of Daumier’s youth in an asylum after a claim to fame via his poetry , where he would pass away in Daumier’s teen years. His childhood was eclectic, to say the least. Daumier would later pursue his artistic career at the age of 18. He was the type of man to stick a pipe in his mouth to hide his lisp, one who had beady eyes and a large nose and stuck out like a sore thumb. This unconventional appearance worked itself into his art. His style was ugly in a way, and Daumier depicted figures who fit a similar description to himself. 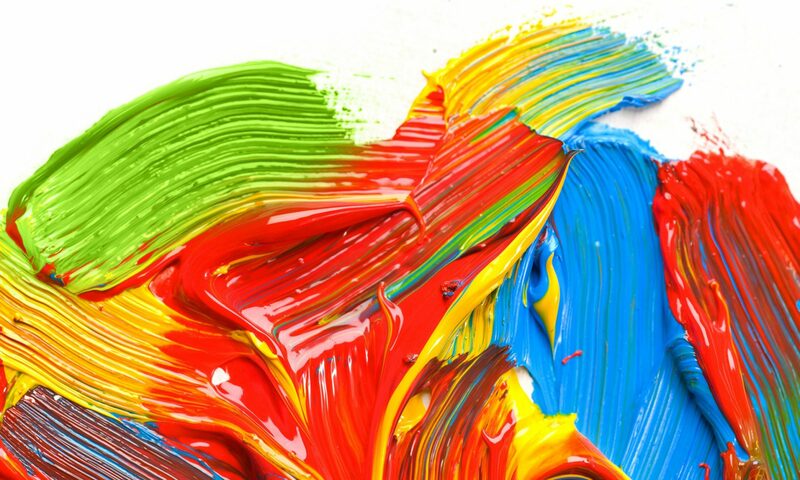 His subject matter was often ugly in a way too; his art was filled with difficult, abstract topics that the every day upper class consumer would certainly want to confront. The harshness of his lithographic black-on-white made his topics seem even more abrasive. 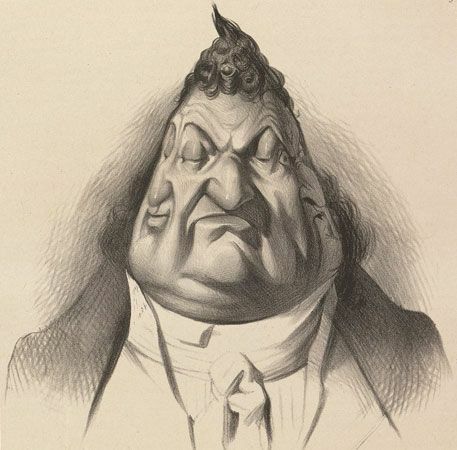 Below Daumier depicts French King Louis Phillippe in Gargantua, a highly controversial figure in the history of French rule. King Louis was responsible for the economic collapse of France of 1847. Daumier’s depiction of King Louis landed him behind bars from time to time, but never caused a blow to his popularity or work, as his opinion was favored by the middle and lower class. However it can be assumed that Daumier had a troubled relationship with the upper class of France (the bourgeois) as they made up the majority of King Louis’s support. 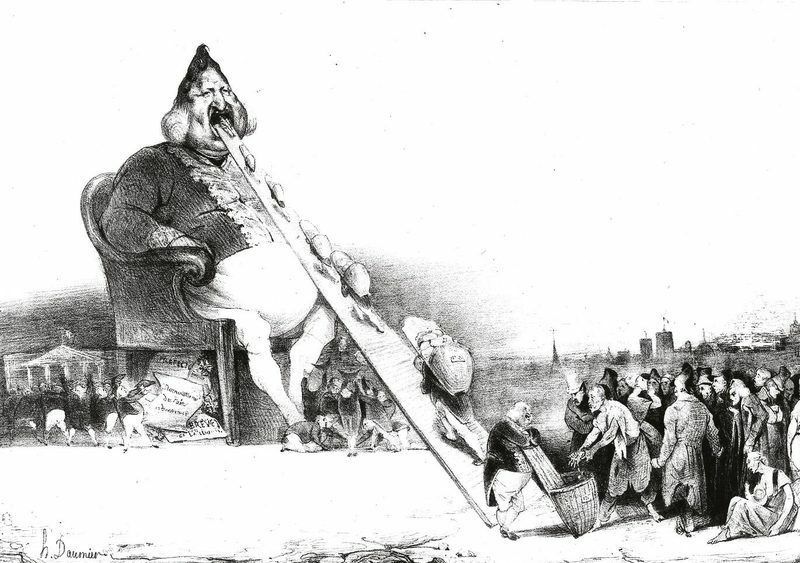 Daumier earns himself the title as “one of the greatest satirical illustrators of French history” by confronting social and political conflicts with a brazen attitude; even detainment could not stop him from fighting for the desires of the middle class through his art. Above, Daumier depicts French King Louis Phillippe in Gargantua, a highly controversial figure in the history of French rule. King Louis was responsible for the economic collapse of France of 1847. Daumier’s depiction of King Louis landed him behind bars from time to time, but never caused a blow to his popularity or work, as his opinion was favored by the middle and lower class. However it can be assumed that Daumier had a troubled relationship with the upper class of France (the bourgeois) as they made up the majority of King Louis’s support. 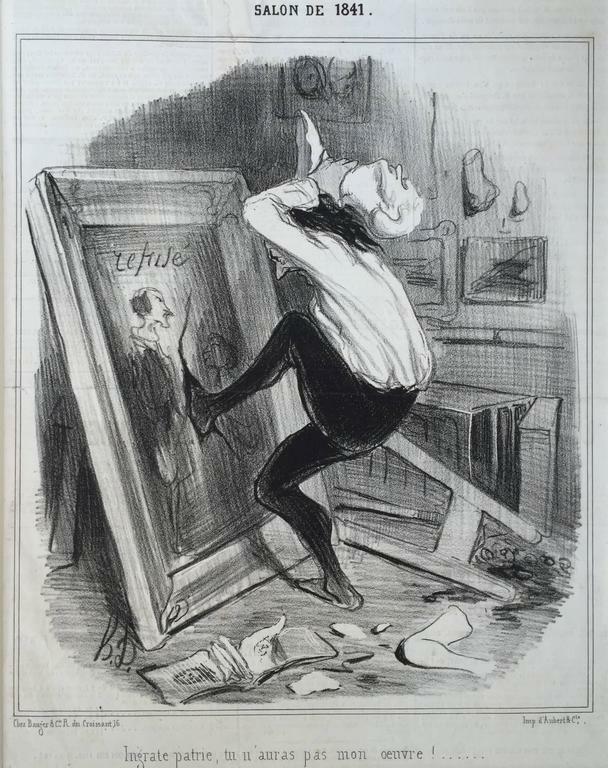 Daumier earns himself the title as “one of the greatest satirical illustrators of French history” by confronting social and political conflicts with a brazen attitude and shameless artistic style; even detainment could not stop him from fighting for the desires of the middle class through his art. Throughout the rest of Daumier’s work we see people as we have never seen them before, with such animated expression and character that they could fit the role of a modern day cartoon villain or oaf. Above, we see Daumier’s commitment to the satirical caricature mixed with his classical training as a painter. He stayed faithful in rendering textures and skin tones, as well as composition and theory. This piece, “Meeting Of Thirty Five Heads Of Expression,” is crowded, but seemingly maintains its composition by the curve of dark clothed limbs at the top of the canvas. Overall, Daumier’s work stands out to me because of the transcendence of his concepts. “Gargantua,” for example, is a political piece focusing on a long gone European King of the 19th century, but could easily speak volumes to the communist revolution of Russia in 1917, nearly a hundred years later. Daumier seems to speak on troubles that plague the world over and over again. The struggle of the working artist, the unjust hierarchy of classes, the inconsistency of politics and its figures, and the hopeless plagues of war are all common themes in his work that still prevail in today’s struggling international environment. Daumier belongs to a special group of artists and political figures who are able to speak through time. In other words, even though he lived roughly 200 years ago, any viewer could enter a gallery of his works and immediately understand his message through any frame of reference. Perhaps that is why I find his work so strikingly significant.